Pregnant Daddy is back! Armed with knowledge and thirsting to share! Hello dearest bloggers! It has been a while since i last blog. 3 years and counting, my daughter have grown so much and she's now in her second year of nursery. There are so many things to share based on what i have learnt during my 3 years of tough training as a daddy. Alot of trials and error, but i am proud to say that i have survived it well. 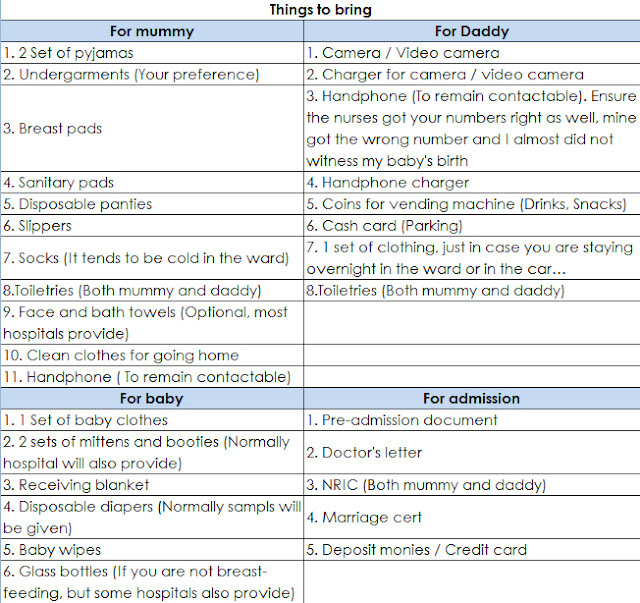 My lovely wife will be delivering our second child around March this year and we have definitely prepared well this time for her arrival. 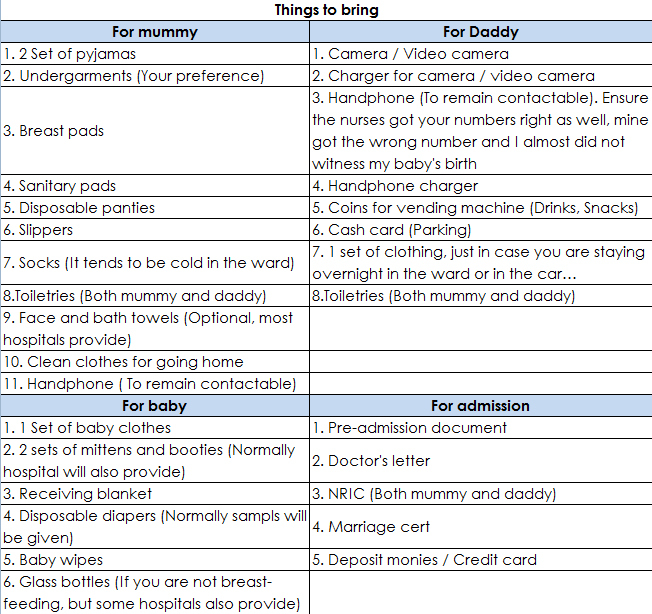 Attached is a checklist which i got from my gynae's advertising vendor, i added some more information based on the experience i had with my first child. Hope this helps! Do stay tuned for more posts, this time with more informative stuff for both 1st timers and experienced parents who are willing to share their experiences. See ya!